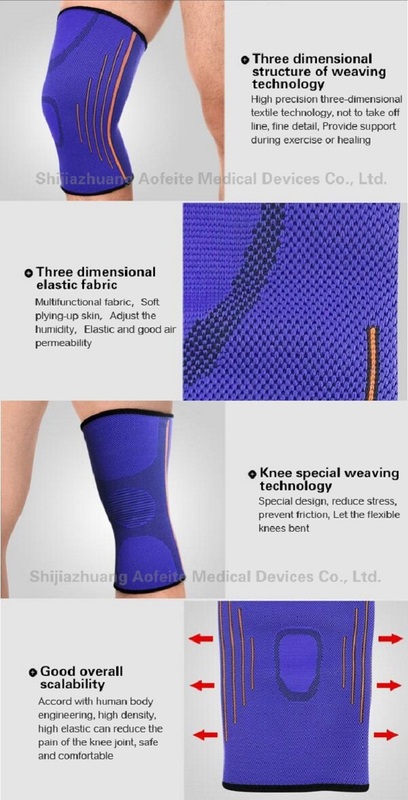 Adjustable Knee Support Brace Sleeve using three-dimensional knitting technology made of, Feel smooth, Non-slip and comfort coexist. 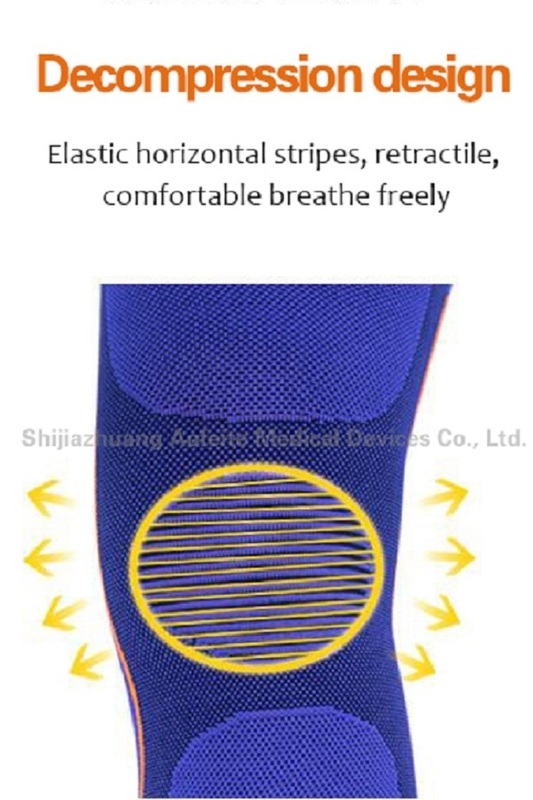 Knee Brace with Good ventilation, fabric more comfortable, good resilience. Compression Knee Support feature: Advanced 3-D contoured knee support gives the knee joint compression. Made of thick neoprene. Anatomical pre-curved compression sleeve and comfort flex design. Material provides a pleasant warmth & compression. Breathable neoprene material retains heat and speeds muscle and joint recovery. Helps relieve muscle and joint pain, stiffness, and soreness. Hinged Knee Support Brace Sleeve function: Supports the blood flow & reduces swelling. Reduces pain caused by inflammation & overuse. Stabilizes and helps enhance mobility for muscles and joints. Relieves pressure and improves coordination. Provides compression, warmth & lateral stability during dead lifts, pistols and squats. Looking for ideal Adjustable Knee Support Brace Sleeve Manufacturer & supplier ? We have a wide selection at great prices to help you get creative. All the Compression Knee Support are quality guaranteed. 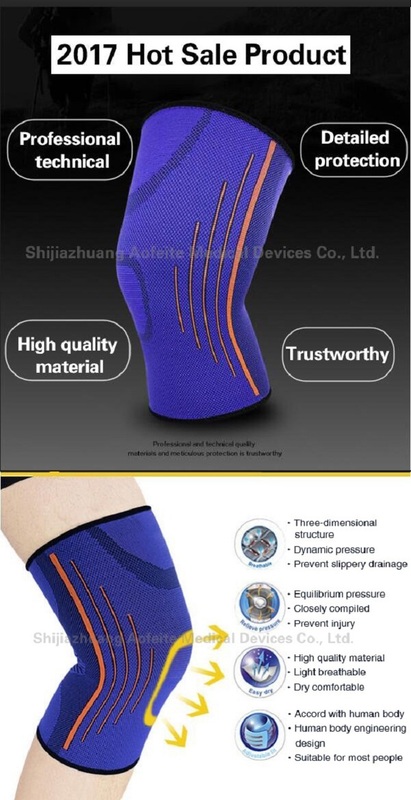 We are China Origin Factory of Hinged Knee Support Brace Sleeve. If you have any question, please feel free to contact us.